September was a great month of programs and praises as we now move into our Fall offerings. Looking back over September it was our busiest month to date for programs and boys being served in different communities God truly answered specific prayers as boys and mentors shared and grew together. Each and every one of you that support us prayerfully, financially, with your time, or however, you are making a personal and Kingdom impact to these young men we serve. Thank you isn’t enough, but you are appreciated. This month two brand new chapters, in NE Atlanta and Houma, LA, began serving the fatherless and single parent boys in their community. Our NE Atlanta Program Director James Hipp held a meet and greet for interested boys and moms. It was a great turnout and all young men are planning on being back for the first program in October. 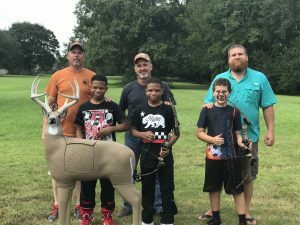 Our new Houma Chapter and Program Director Kenneth Hobbs held their Open House as we introduced the programs to the community and also held their very first program for the boys a 3D Archery Shoot. Both these chapters are off to a great start to reach the fatherless boys in their community. 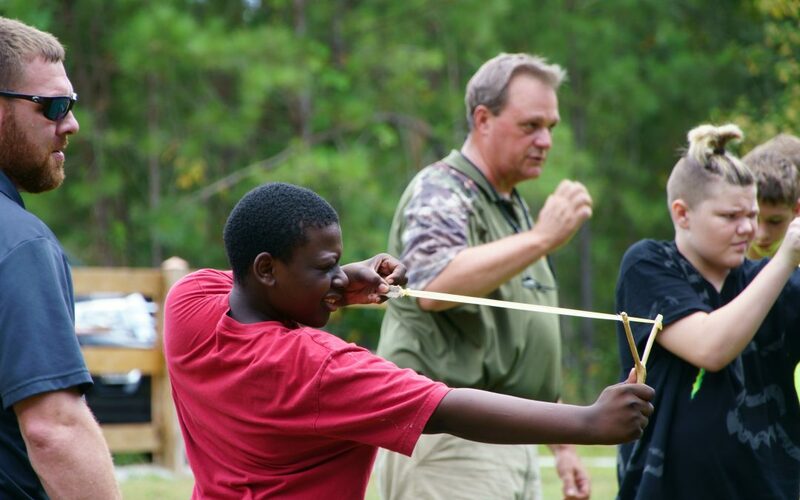 Program Director Ronnie Alpha in Bush, LA and Dallas, GA Program Director Don Brooks both held their annual Cast & Blast Programs for boys to qualify for the fall deer hunts. In LaGrange, GA Program Director Jeff Benefield spent a day on the lake with boys and also were able to jointly build a new fire pit at their camp facility at Lonesome Jake Preserve. Rick Hall, Program Director in Columbia, SC, took two young men on a Leader Trip deep sea fishing out of Charleston. 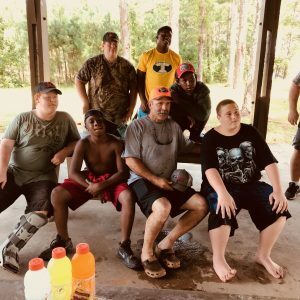 Apex, NC held its first ever fishing shootout where Program Director Cory Bowes led boys and mentors and enjoyed a day on the lake in a fishing tournament style program. 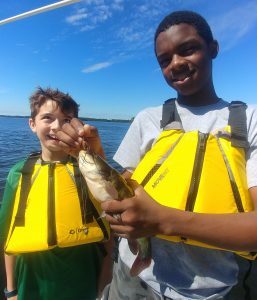 Newberry, MI Program Director Jim Duflo also enjoyed a morning on the lake spending time fishing with a young man in his program and one of his mentors. In each of these programs there were dedicated time spent between boys and mentors just talking life, encouraging one another, and growing in personal relationships. Most importantly at each of these programs the young men were exposed to living and being a Christian man and how to have a relationship with Jesus. Rounding out the month one of our boys from our Bush, LA Chapter, Caleb, made a profession of faith in baptism. 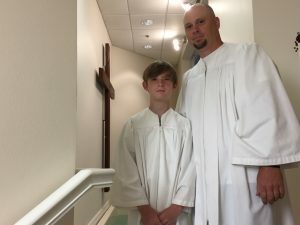 Caleb made a decision for Christ at summer camp and on the last day of the month was baptized by Regional Director Michael Rivers. This is the entire reason we do what we do! We thank the Lord for all of His blessings this month and we are looking forward to the fall programs!